It all started with the ongoing Revolve press trip to Phuket, Thailand. Until yesterday, I followed a few of the influencers that were invited on the trip, like Aimee Song and Camila Coelho. I have to admit that I was a huge fan of Aimee’s blog, that is until her page led me to Revolve’s Instagram feed. I had noticed Revolve’s usual practice of discrimination a while back, but something about this particular post struck a chord. After you finish reading this post, you may or may not find it shocking that they are still currently engaged in heavy social media coverage of the trip. So, let’s rewind to yesterday. I came across the image and caption below, and I was immediately disturbed by the blatant exclusion of darker skinned women, and the ridiculous addition of rap lyrics to the caption. I commented to myself about how crazy it was, and was planning to send it only to a couple of friends. Let’s be honest here, I was not shocked to see the row of bronzed skinny women on their feed. After all, it is very common practice in the fashion industry to only include girls who meet oppressive European standards of beauty. However, just a few weeks ago, I was having a conversation with a fellow blogger, @simioa, about the consistent exclusion of talented black women from the top influencer tier and how we have to work 10 times as hard to get the same number of collaborations and amount of money. Most of you are probably familiar with @diet_prada, which has been described by manrepeller.com as a “no-mercy Instagram handle that calls out injustices in the fashion industry.” Well, I thought it would be a good idea to share my post with him to raise awareness. Honestly, I thought he would read it, agree, and maybe call them out separately on his page. Well…he read it, responded, and then reposted my story and tagged me in big bold red-highlighted letters. The rest is history. Despite the overwhelming support I have received on Instagram, I have to say that I am not a pioneer. Hundreds of black women and other women of color express their frustrations on this topic every single day – through the comment sections, on their platforms, and through emails and DM’s to the brands themselves. Our voices are out there, but they are not being heard. That is, until today. The outpour of support and solidarity has been incredible. There is a movement of people from many different cultures and backgrounds who refuse to accept the normality of discrimination in the fashion industry. There are hundreds and hundreds of messages like this in my inbox and I wish I could post them all here. I found myself responding, through last night and this morning, to many people who I have admired for a very long time on Instagram, to people who are ridiculously talented, and who BELONG on that list I sent to Aimee. I have decided to start an Instagram page dedicated to highlighting influencers who are content creators, and who work hard to produce content, but are consistently overlooked because of the color of their skin, their ethnicity, their religion, their gender, their size. 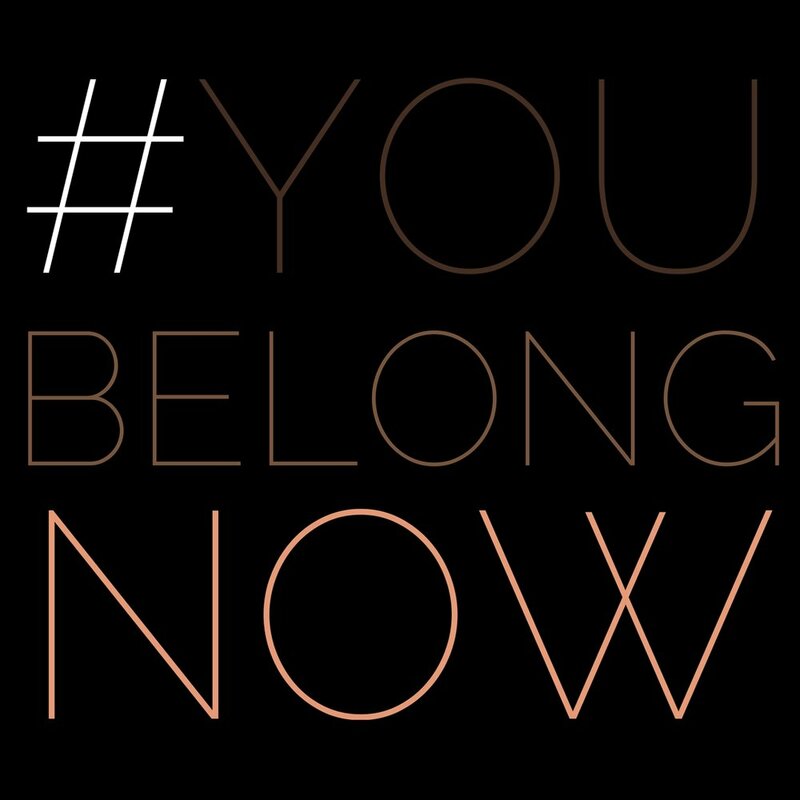 Follow the page @YOUBELONGNOW AND #YOUBELONGNOW. You can do your part by spreading awareness and recommending these talented human beings to youbelongnow@gmail.com.